An introduction to our server, the team and the key features we offer. And in the form of Q&A we will demonstrate why we think Syntix is the right choice for you. 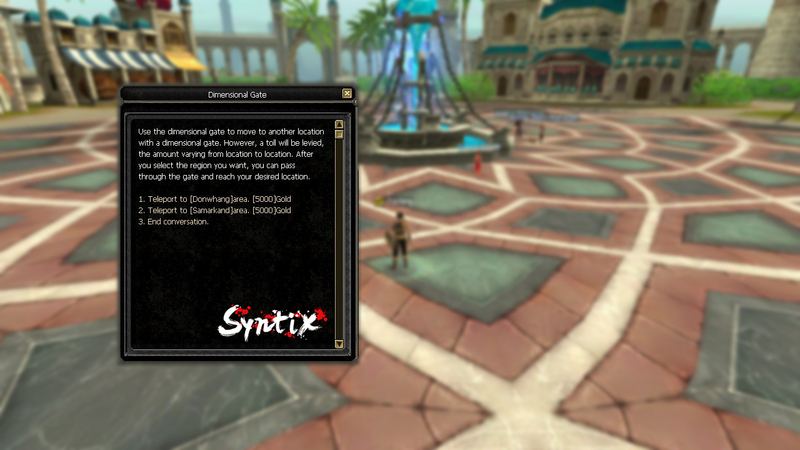 In addition to that a detailed description of the stat/game play alterations can be found (These modifications were tweaked and scaled over time, be it from the experience drawn from many private servers which ended up a failure or a success, the suggestions from our Beta testers or the collective of opinions we’ve gathered from the SRO community). In the past 4 years many private servers came forth with fascinating features and amazingly edited welcoming threads, and the story keeps on going until the sad part takes over, the server is doomed and it's a matter of time till it turns to ash. We have been studying each and every server that failed in the past few years and asked ourselves: why did this server fail? what were their flaws? how can they fix it? Fortunately we think we've found the right answers. 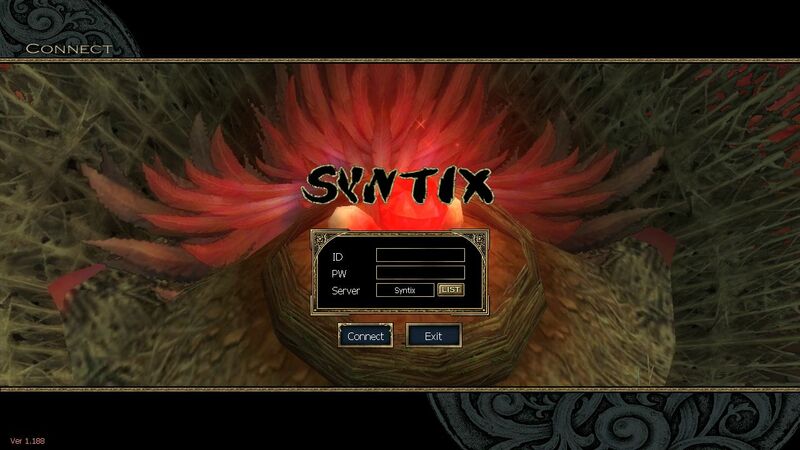 We studied, we worked hard, we felt, we went up again and from the ashes of all the servers that once failed we proudly introduce to you guys; Syntix Online! In our server we constantly strive for innovation and improvement. However our work is guided by the vision of upholding the SRO tradition therefore we've only fixed the things that were considered nuisances in the classical LV100 scene, so unlike most server hosts we did not temper with the game in a way that we can not control. Features are supposed to be useful, not cool. 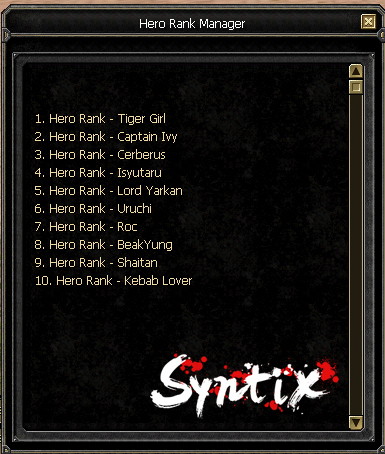 Syntix is a long term project destined to all the players who enjoyed the good times after LV100 update. 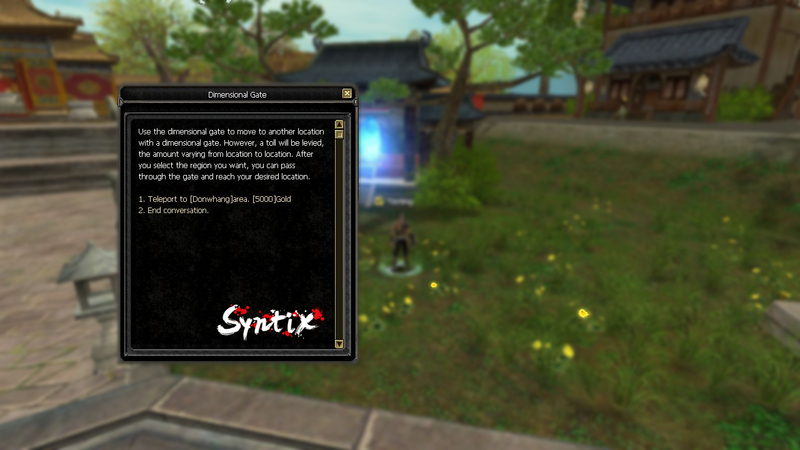 We've integrated the notoriously beloved maps and patches to serve the purpose of an only Chinese LV100 server. We managed to do so through the following:Removed Alexandria from the game map.Relocated Cave monsters and Medusa to Europe expansion map.Forgotten World, Medusa and ROC will now reward you with fare items at a fare constancy. 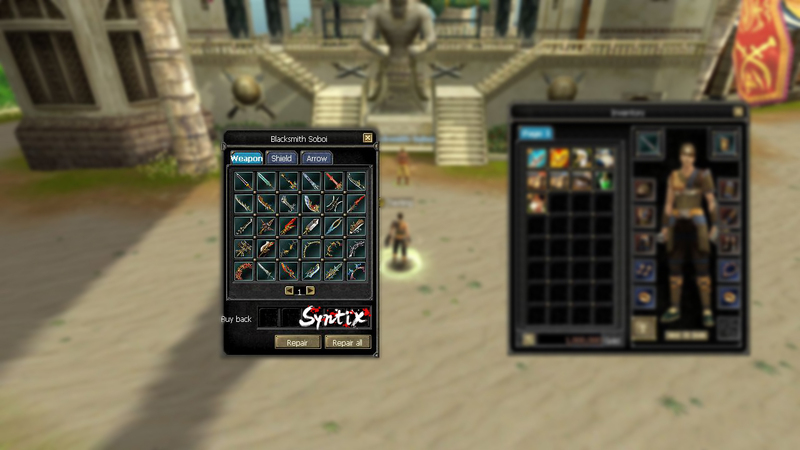 Players can obtain 1 Silk/2 hours starting from level 100 according to their online time. Killing ROC will reward you a 300 silk scroll. You can buy our virtual currency "Silks" through Payment wall in different payment methods in mean and reasonable prices. Our selected list of items is fair and practical. Is to achieve success by identifying and understanding the player's needs. However, our focus remains to produce the best quality of stability and smoothness. We assure you, our server is administrated by two mature and professional fellow members of the SRO society, each with experience and dedication. Listening to and sharing knowledge. Combining our expertise. Creating lasting relationships. Being part of the bigger picture. Ultimately performing better together. This is Syntix's concept of teamwork. I must take this opportunity to express my heartfelt gratitude to all those who have stood by us since the days of our inception. Your support and unwavering faith will always be a driving factor in Syntix pursuit of excellence. Hyperfilter: DDoS Protection Solutions is a service provider specializing in DoS/DDoS Protected services. Maps All regions enabled except for Alexandria & Jangan cave. 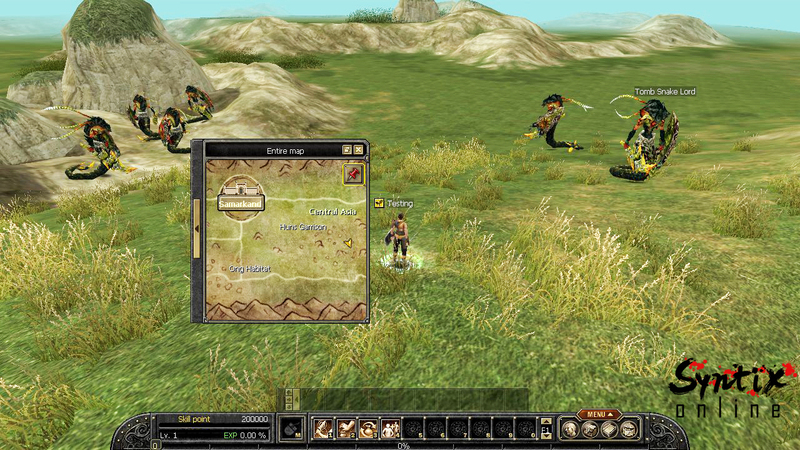 Fortress war Bandit, Jangan & Hotan. Alchemy Success Rate A rather interesting algorithm. Balanced Not only balanced, but also fair. 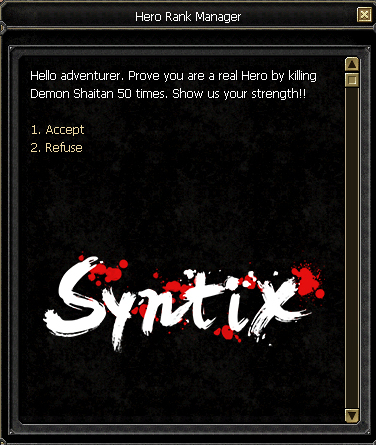 -The first issue I want to address is: Why play Syntix Silkroad? Well it’s the same reason you are still reading through this thread; it’s because Silkroad is awesome! Maybe it reminds you of the past, maybe you find the game play to be outstanding, maybe it’s because you love the idea of gaining riches through hard work, epic battles and risk taking, maybe it’s a collection of these reasons. Who knows? The point is that we love this game and therefore we must preserve and enjoy it. So if you want to relive all those sweet memories the only thing you're lacking is a competent team to run the server of your dreams. Well we think that we're devoted to that purpose, so you are in good hands. And yes I do think you’ll stop reading threads for a while and actually play Silkroad in the long awaited private server, tailored to your dreams, Syntix. -Now the next logical question would be: Why choose us? When I first wrote this modest article it was on a sheet of paper but I knew full well there must have been someone posting a thread at the same time trying to attract people with interesting, but unrealistic offers. A stable, long lasting and well managed server. A balanced platform for those who seek fair play. A devoted team willing to back up the project with time and money. 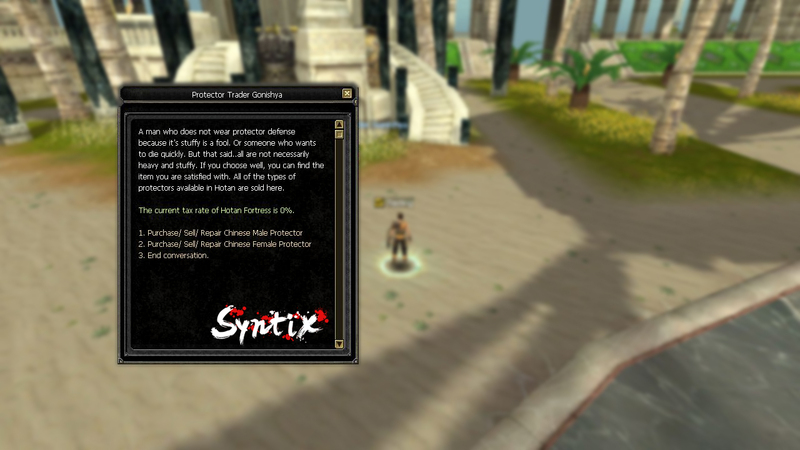 A collection of experiences implemented carefully into the improved game-play and exploitation prevention. Events that will satisfy the many, the new and the old. No crazy events or “special features” that make the game look broken. No higher tier items from Magic Pop. 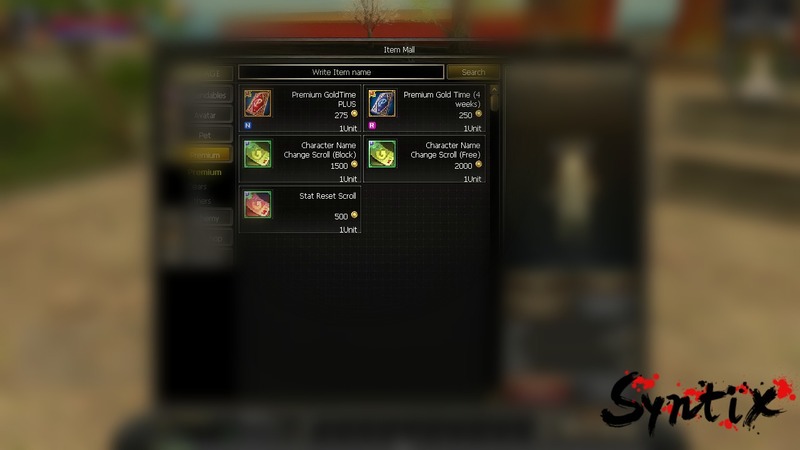 No crazy gold drop rates; I mean it is GOLD, a little of it is supposed to worth much! -Is the server job based? Every proper p-sro server IS job based, that's what the game is about! Magic pop is disabled for d9 & d11. 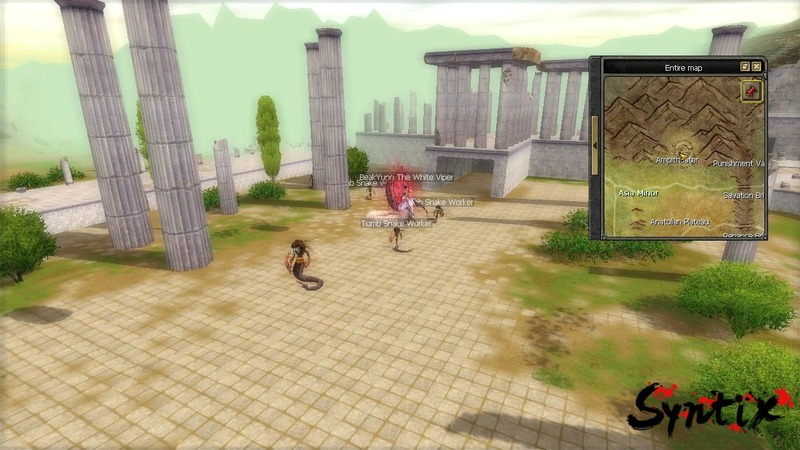 Teleport links to Alexandria have been completely removed. Europe shop links have been completely removed from Hotan. Tablet drops are completely removed. 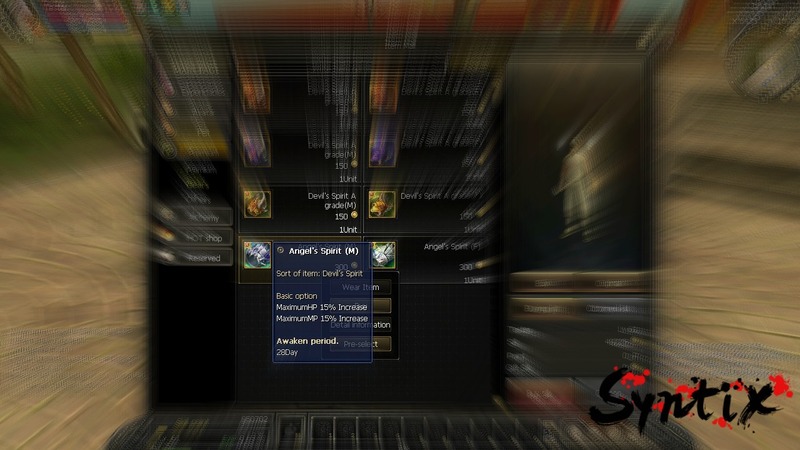 D10 Normal weapons (Level 90) have been added to Hotan Blacksmith Soboi. 3 Days Monkey Summon Scroll. Especially for old-school freaks, don't bother yourself and job freely! 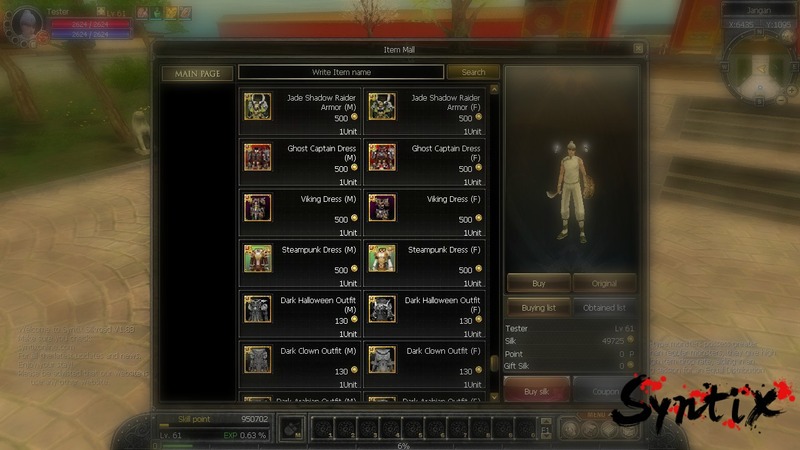 Special job suits could be found at trade, hunter and thief npc's. Available in a price of 25 gold coins. Once you finish your Level 100 Zerk quest, you'll be able to obtain one of these quests from Hero Rank Manager NPC at Samarkand. 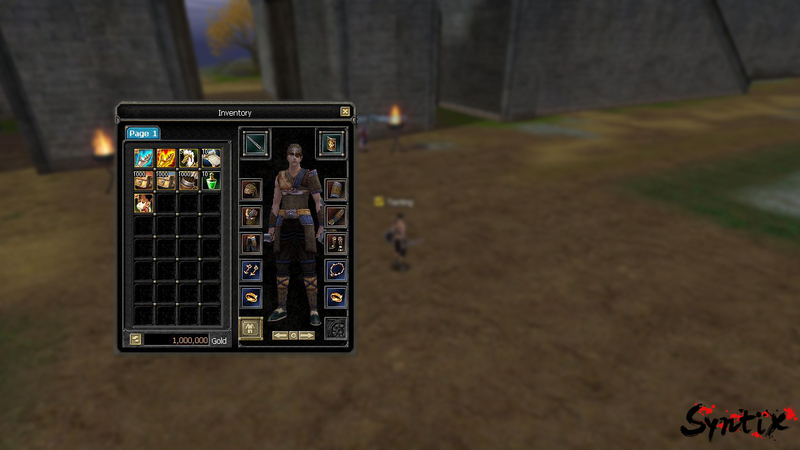 Players get the quest from Hero Rank Manager and they receive their title from Hero Rank Provider NPC. 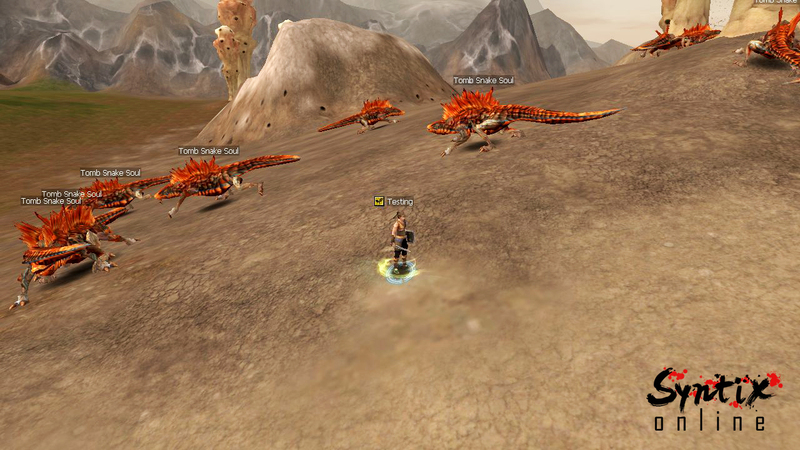 Players now are able to take the quest from Guild Manager Musai NPC at Hotan. You can get Seal of Moon weapons through forgotten world as a reward with a very interesting talismans drop rate. 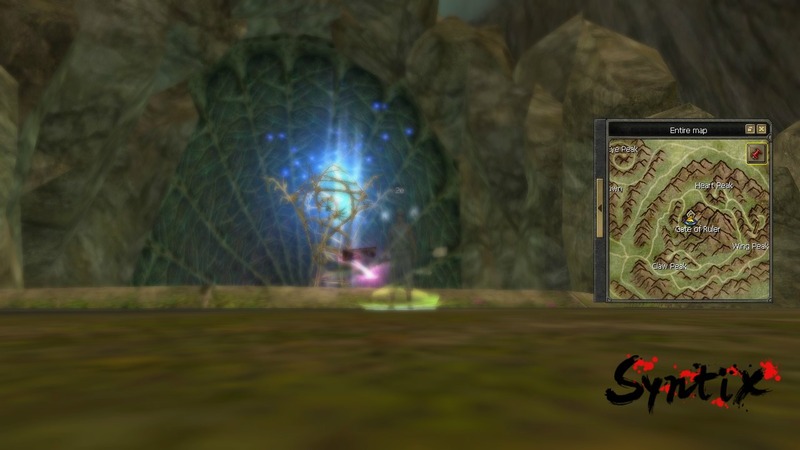 Gate of Ruler opens every Sunday at 17:00 server time. Defeat the almighty roc to be able to get 300 silk scroll! 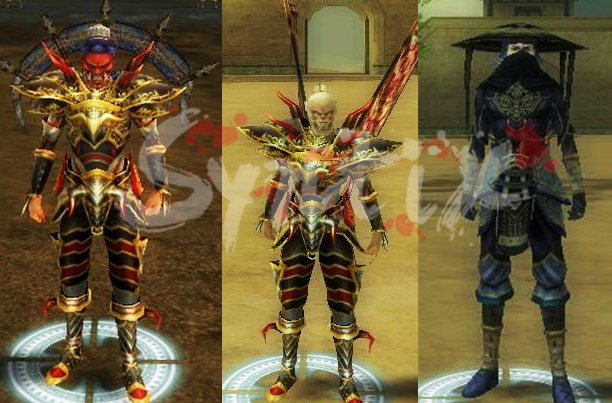 Players are able to obtain last tier normal equipment(98, 99 and 100) from the Roc monster drops. The majority of vSRO avatars are available in Item Mall in a wide range plus a new customized black avatars & iSRO ones. 85-95 Jangan cave monsters have been relocated to be spawned at Constantinople. 95-99 Jangan cave monsters have been relocated to be spawned at Samarkand. 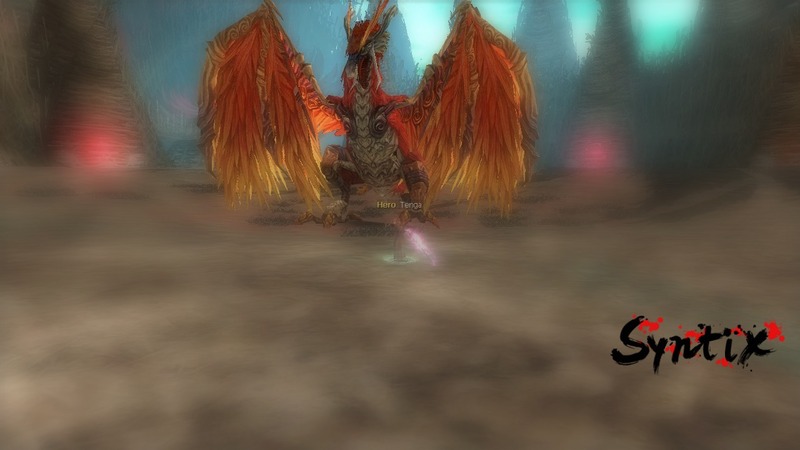 Monsters spawn rate is now multiplied by 2 which will give the players the ability to grind freely in all regions. Medusa spawn location has been changed to Samarkand Amphitheater area and it does spawn 24 hours after its death. All force debuffs probability are now nerfed to 50% instead of 80%. Added 30 seconds cool down on the cure series. Added 1 minute cool down on the rebirth series. 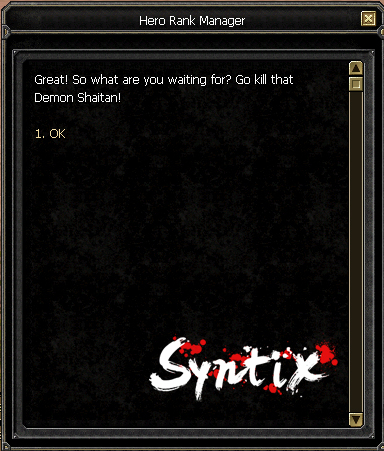 Impotent debuff has been completely removed. Fortress war is re-scheduled to start every Saturday at 20:00 Server time. Battle Arena is re-scheduled to start every hour starting from 12:00 to 24:00 Server time during day time and every two hour's from 1:00 to 12:00 Server time. HP Pots, MP Pots, Arrows, Universal Pills, Purification Pills and Drug of typoon are stack-able to 50. 3 Minutes cool down on Resurrection&Reverse scrolls. 20 Seconds delay on Global chatting. 225 Required Int points to upgrade novice snow shield buff. SilverGoldBull is your reputable precious metals dealer. They will provide you with competitive, up-to-minute rates and guarantee your precious metals are delivered to your door discreetly and fully insured.